Living in Athens and due to limitations of time, I was always looking for destinations close to Athens. There are many, you know, although only one will amaze you in the way that Hydra amazed me: eternal Hydra, the unreal one. Especially if you visit the island during on less “busy” months, you will think that you have moved to another dimension and you are aware of this, even before you put your foot on the island. From the ship already, you suspect that something magical happens in this place. As you approach the island, the harbor emerges slowly. Amphitheatrically located stone houses welcome you. Hydra gives you all her treasures from the first moment, at first glance, as long as you start exploring. And the secret is to get lost. Let yourself be strolled in rich alleys, without thoughts and worries, without a compass or a route. Enjoy everything Hydra offers you. Beautiful stone houses with special architecture and whitewashed courtyards with blooming gardens. Observe trees and surroundings; let the sun to warm you up. Accept all the smells and have a chat with the locals. Usually in afternoons locals get together outside their gardens and chat. You will easily become friends; people are very hospitable and polite. After you explore the hinterland, it's time for the port. I love the harbor in the morning. Really early in the morning, when all are still asleep. All but the fishermen preparing their boats and a couple of coffee shops that opens early in the morning. So I sit there for the first coffee of the day. And I “hear” the sea it is so quiet and peaceful. I hear the ripples that pop the pier. And I start organizing my day. There is a lot you can do in Hydra. Starting from the sea and beaches. From the most distant- half an hour with the taxi boat- Agios Nikolaos, a quiet beach with a creek that holds your serene moments of relaxation. And of course the special canteen, you can find the necessary. It is a beach with no trees, so umbrellas are necessary. 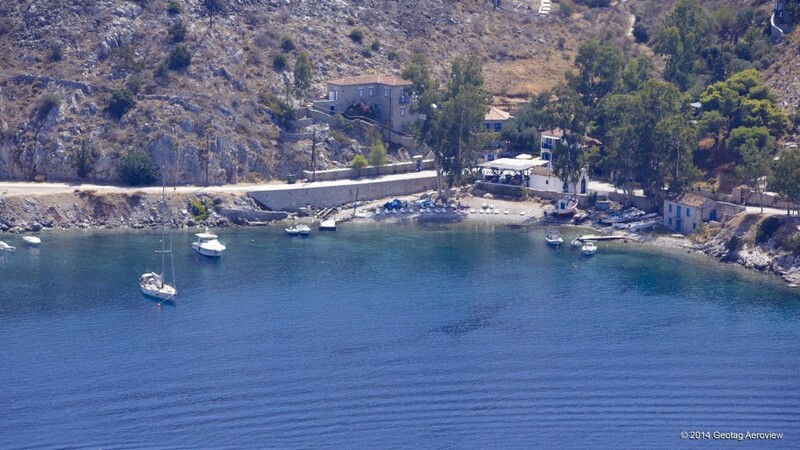 There are other beaches like Mandraki and Vlychos where you will find a very nice taverna for meze and ouzo. And then Bisti, a quite different beach surrounded by trees. 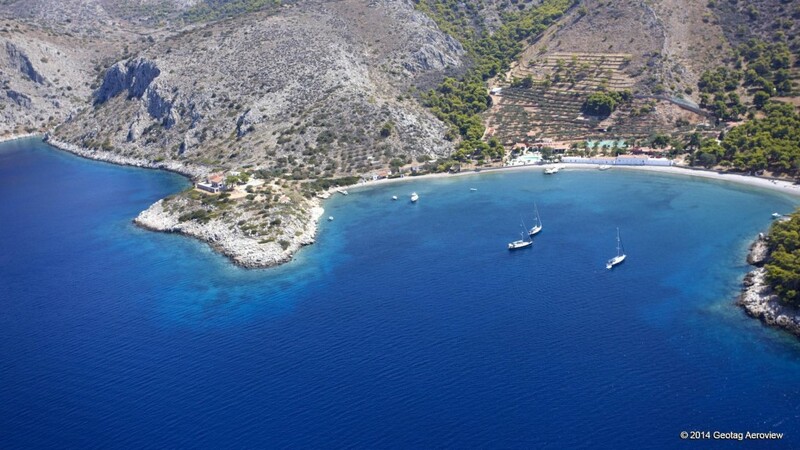 And of course, all these beaches are approached by water taxis and boats, which is an experience not to lose, because you can see the island from inside the sea, but also because it is the only opportunity to use means of transport on the island, as in Hydra there are no cars. Only boats and a few donkeys for tourists. And as you come back from the beach, you have only one choice, to visit Hydroneta. It is the meeting point where all enjoy the sunset with cocktails and snacks. A lovely cafe-bar, a perfect spot. Lounge music and gaze lost in the sea. Just above Hydroneta, there is a a restaurant if you are very hungry. And of course many other restaurants and taverns in the streets of the island. Like the tavern in a mall square under the trees, which if you are lucky you will meet and two guitarists that will keep you good company. Generally you can find any kind of food you want. From fish and seafood to pizza and tasty pasta. During your wanderings in the streets, do not hesitate to get in tourist shops; they all have very nice goodies. And of course do not forget to buy the famous sweat “amigdalota” from the traditional pastry shop of the island. Keep walking and follow the path over Hydroneta. It will lead you in Kaminia, a lovely village with a small port, where a lot of Greek films have been filmed. Do not hurry; the route by the sea is very beautiful. There is also a museum on the island that you can visit and lots of exhibitions and artistic events that take place. Hydra has it all and there is no possible way to be described in a text. So check out the calendar, decide your suitable dates and book your tickets. Either for weekend or longer, the island is lovely and you will have an unforgettable experience. It is certain that you will discover a place that will always want to return to! Visit Build your trip to find more destinations in the Mediterranean according your travel style!